Companies use diversity training to prevent hostility in the workplace, but it can backfire. Damore’s words were disavowed by Google and rejected by those who believe women possess the same qualities as men to succeed in the tech world — an industry that has sparked no shortage of controversy over its treatment of women and inclusion of minorities. But Damore’s bitter reaction raises questions about the effectiveness of diversity and bias training, a tool companies and other organizations have adopted to prevent hostility in the workplace, and in Google’s case, to promote the hiring and retention of more women and minorities. Researchers remain divided on its usefulness, but organizations may have no better option to attempt to shift company culture, establish behavioral guidelines and address the legal risk of a hostile work environment. Google introduced training in 2013 to make employees aware of hidden biases, such as hiring a man over a more qualified woman because of an unconscious assumption that the woman will be distracted by child care. The tech giant, which has funneled three-quarters of its more than 70,000 workers through the program, did not respond to questions about its training program. One employee said the training covered topics such as considering female employees’ opinions equal to those of male counterparts. The sessions, which were mandatory, included smaller group discussions. “Most people who go to the trainings really want to be better, but of course that’s not true of everyone who comes to the classes we offer,” said the employee, Sarah Adams, a software engineer. Experts say one of the fundamental challenges of diversity and bias training is this: People don’t like to be told what to do and think. That’s why experts say an instructor’s words can quickly backfire if they put the audience on the defensive. That could mean simply providing structure to an interview so that all job candidates are asked the same questions, reducing the chances of unforeseen prejudices influencing an outcome. Experts say such guidelines are necessary because it’s difficult to change people’s minds, particularly when it comes to biases. Often, a more realistic goal is to simply try to manage biases so that they don’t poison an atmosphere on the job. “What that engineer expressed is an attitude that’s common in engineering, which is that engineering is technical and pure, and that anything else that has to do with social issues is unrigorous and doesn’t belong in engineering,” she said. Rather than being prescriptive and telling people what they can or can’t say or do, it’s more effective to play to people’s strengths as problem solvers, according to Williams. When she has trained people in science, technology, engineering and mathematics fields in the past, she has gotten the best response when she presented the room with a well-documented bias, and asked them how they would “interrupt” it. People working in science and technology fields, who are used to and comfortable with finding new solutions to old problems, are typically much more open and engaged when asked to come up with solutions this way, she said. Frederick R. Lynch, a professor of government at Claremont McKenna College and the author of “The Diversity Machine: The Drive to Change the ‘White Male Workplace,’ ” is deeply skeptical of many bias-training courses because they inherently strike fear in white audiences who think they’ll have to answer for society’s inequalities. “The problem with political correctness and the diversity-training environment is that it can undermine trust; everyone gets so sensitive they feel like they’re walking on eggshells,” Lynch said. Moreover, Lynch believes the primary goal of such training is often not to change attitudes but to reduce any legal liabilities from workplace incidents. “Most organizations are interested in covering their rear ends,” he said. Damore said he wrote the memo after his bias training to clarify his thoughts. In the 10-page memo, which he sent to colleagues and which later went public, Damore accused Google of resorting to discriminatory practices in its quest to diversify its workforce. He has granted interviews to Molyneux and to University of Toronto psychology professor Jordan B. Peterson, who have sizable followings on YouTube and track records of criticizing attitudes they describe as politically correct. He told The Associated Press that he filed a complaint with the National Labor Relations Board before he was fired and that he is exploring his legal options. 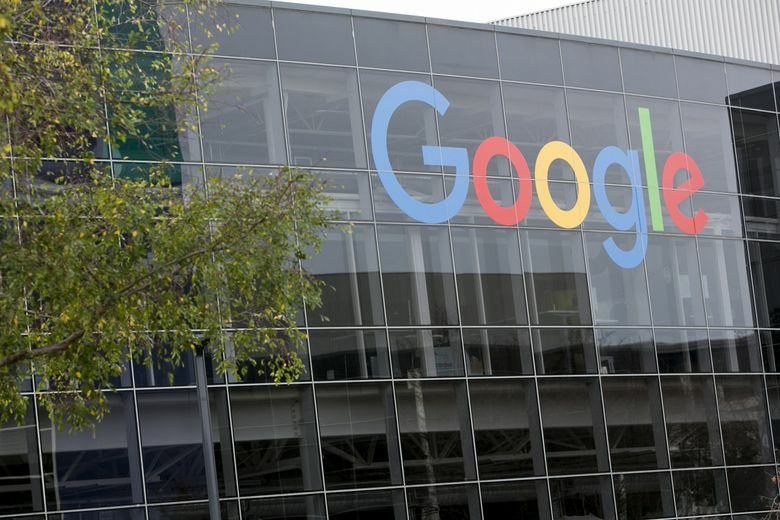 A Google spokesperson told the AP that the firing could not have been retaliatory because Google did not learn of the complaint until afterward. Los Angeles Times staff writers Ethan Varian and Alexa D’Angelo contributed to this report.